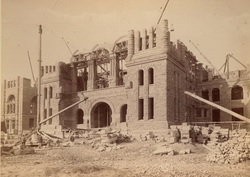 Ontario Legislative Building under construction, circa 1890. 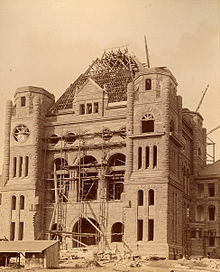 Ontario Legislative Building under construction, circa 1891. On July 1, 1867, Ontario joined Confederation. Toronto was chosen as the capital of the new province. 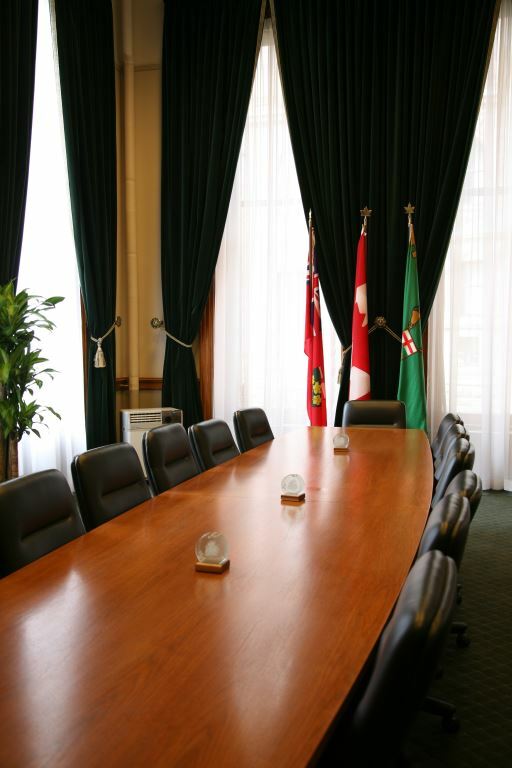 Ontario's legislative assembly took over the old home of the former House of Assembly for the Province of Canada. By 1880, Ontario started seeking designs for a new parliament building. In 1885, a budget was set and in 1886 construction commenced. The Ontario Legislative Building was offically opened on the fourth of April, 1893. "The Ontario Legislative Building is an asymmetrical, five storey structure built in the Richardsonian Romanesque style, with a load-bearing iron frame. This is clad inside and out in Canadian materials where possible; the 10.5 million bricks were made by inmates of the Central Prison, and the Ontario sandstone—with a pink-hue that has earned the building the colloquial name of The Pink Palace — comes from the Credit River valley and Orangeville, Ontario." More on the description of the Ontario Legislative Building can be found here. Ontarians today tend to call the Ontario Legislative Buildings, Queen's Park. In actual fact, Queen's Park is the land that the buildings are situated on. Interestingly enough, the land belongs to the University of Toronto and is leased to the government at a dollar a year on a 999 year lease. 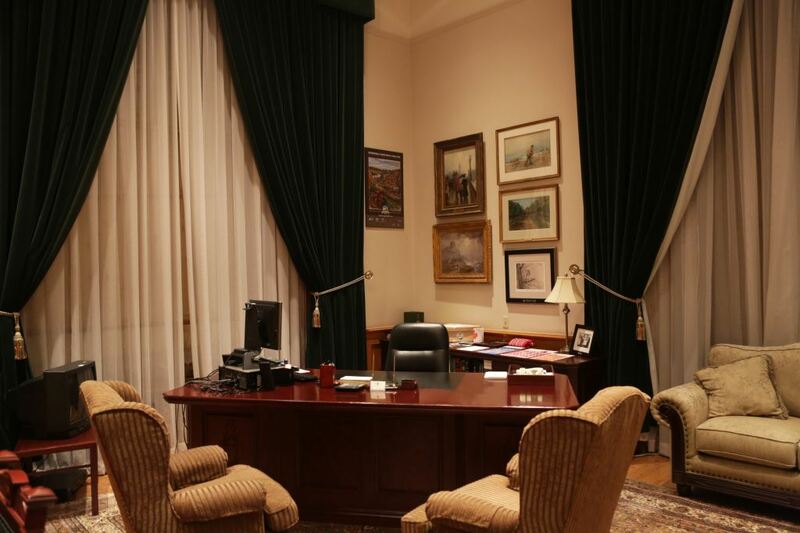 The Office of the Speaker is located at the end of the east wing of the legislature building. The Speaker presides over the debates in the Chamber, and is responsible for the policy and operations of the Legislative Assembly. Floor plan of the Ontario Legislature Building, 1893. 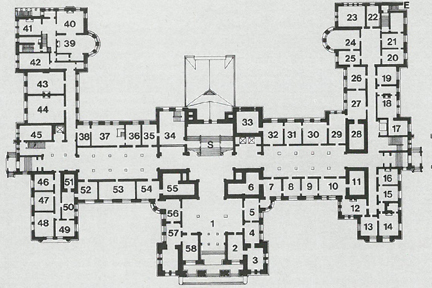 The floor plan on the left is from 1893. The Speaker's Office at that time was in 39, 40 and 41. The office now is in 11, 12, 13, 14, 15 and 16. In 1893, this block of rooms was the Crown Land Dept. 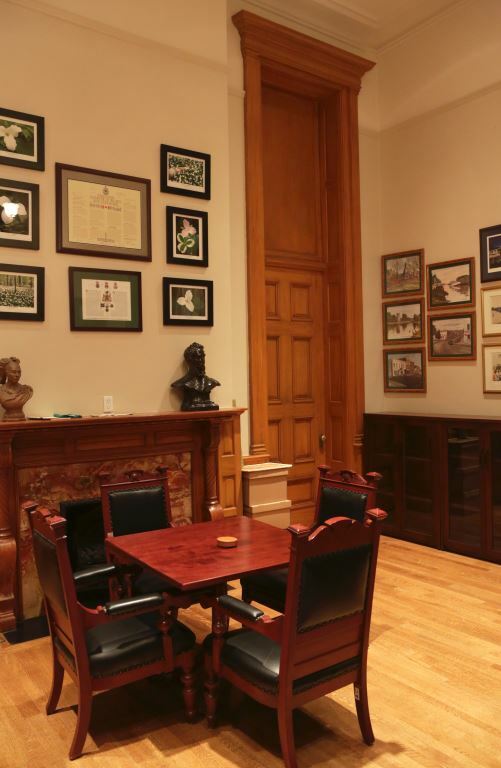 Office if the Speaker of the Ontario Legislature. 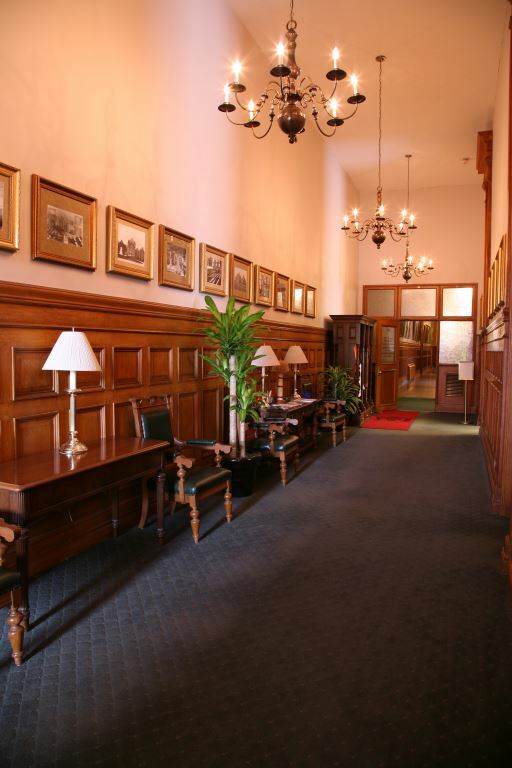 Wood is difficult to get from Queen's Park as any wood taken out of the Legislature is kept and catalogued for future use. In 2012 I was contacted by the office of the Speaker for Ontario and informed that some wood was available through some very unusual circumstances. It seems that not all contractors are conscientious about keeping and cataloguing the wood. In 2012 the Speaker's washroom was renovated. In the process of removing material from the walls and ceiling an attic type room was discovered and the debris from a previous renovation was lodged there. As there was no record of this wood, it was made available to me. I picked it up at my MPP's office in Orangeville. The first piece then became "Mr. Speaker...". I was able to arrive at a date of circa 1920. This was through a study of the sizes of 2x4s over the years and what wood they were. I also studied the evolution of square nails and this helped to narrow down the possible time. The next piece which will be the first one that I will use for History in the Making will also be from this pine 2x4. The third piece will be from the lathing and the fourth from whatever is left over. You will notice that I am doing the easy ones first. In this video I am preparing the vase for the fourth and final ring. I true the outside and square the top of the 3rd ring so that it is flat. 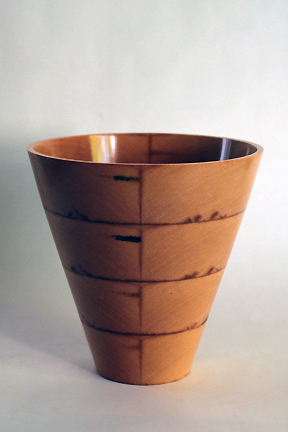 Sanding the inside of the vase when it is complete is very difficult. I turn and sand the inside of each ring as I go. I only show sanding with one grit here but in fact I use a number of different grits to finish at 320. Going to higher grits would burnish the inside and cause the finish to be blotchy. Once the top ring is in place, I turn and sand the inside and then do the same for the outside. Vases are hard to remove from the chuck after the finish has been applied so I have an old chuck that I use for vases. I leave the vase mounted in the chuck until the finishing process is complete. This is usually between 4 and 6 days. This is the second piece so I called it "...I have a question...", naturally.